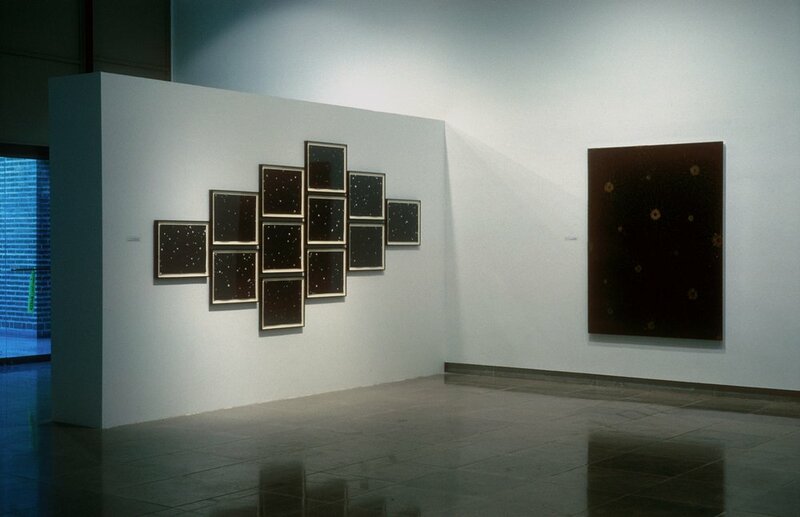 The Urge to Be Transported is the first solo exhibition in the Southwest of work by sculptor and painter Fred Tomaselli. The exhibition features large-scale paintings in which the artist combines traditional materials such as acrylic paint with a variety of pharmaceuticals to create eye-catching pattern and form. Solo exhibitions of Tomaselli’s work have been held at Jack Tilton Gallery, New York (1995, 1993); Christopher Grimes Gallery, Santa Monica, California (1995, 1994, 1992); Galerie Anne de Villepoix, Paris, France (1994); and White Columns, New York (1992). He has also been featured in group exhibitions including Better Living Through Chemistry, Randolph Street Gallery, Chicago (1995); Corcoran Biennial of American Painting, The Corcoran Gallery of Art, Washington, DC (1994); and Fever, Exit Art, New York (1993). The artist currently lives and works in Brooklyn, New York.